Love comfort food? Yah, me too! Summertime means it’s way too hot to slave away at the stove cooking all those favorite meals that make you feel warm and fuzzy inside. 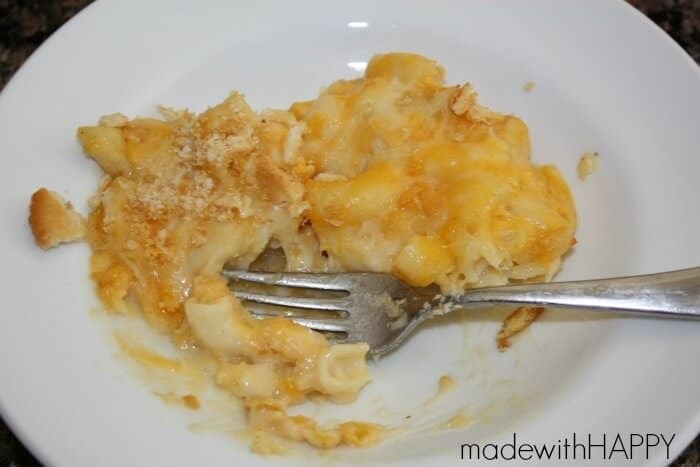 My solution- a simple mac n cheese that will satisfy those cravings, but will be a breeze at the stove! Preheat the oven to 350.In a saucepan simmer the creamed corn with the milk, butter and garlic powder for 6-8 minutes. Season the creamed corn with salt, pepper and hot sauce if using. Remove from the heat, cover and keep warm.Boil the elbow macaroni in salted water for 2 minutes less than package directions. 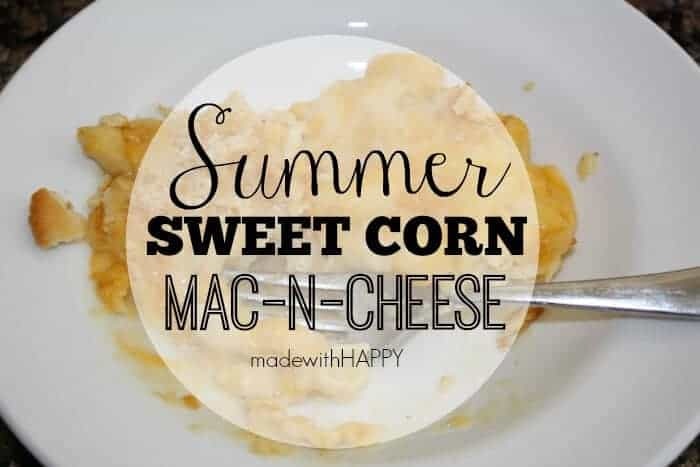 Drain the macaroni well and add to the corn cream. Add the Cheddar and half of the mozzarella. Stir well. Pour into a casserole dish and top with the remaining mozzarella and crushed butter crackers. Sprinkle with Season All.Cook 10 to 15 minutes (or until golden on top).